This is an original production cel from the Cambria Studios production of Clutch Cargo (1959). 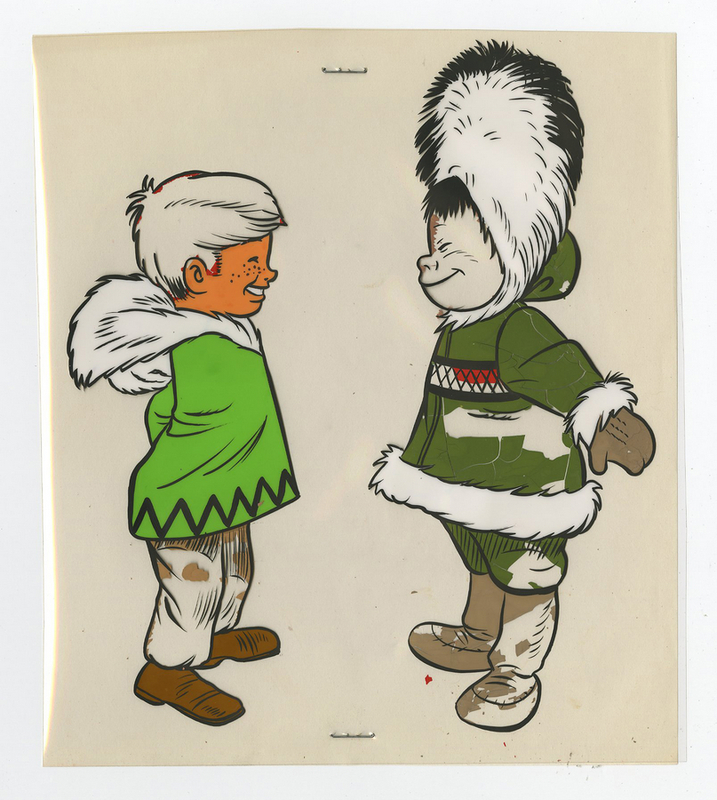 This production cel features Spinner and an eskimo and was created at the studio and used during the production of the an episode of the series. The overall measurements of the piece are 8.25" x 7.25" and the image itself measures 7.75" x 6.5". The piece is in fair condition overall with some paint lifting an loss as you can see in the image.